The West Palm Beach office of Steinger, Iscoe & Greene is representing the grandmother, mother and mother-in law of the Indiana famiy of five tragically killed in a catastrophic car and truck accident. Only minutes into their vacation drive, en route to South Florida to visit relatives, the family's pickup truck was crushed between a flatbed semi-truck and a loaded semitrailer. The family's vehicle burst into flames upon impact; there was no way to escape. Today a South Florida firm is standing up for the rights and honor of this family, at the request of the family they were on their way to see. When people are hurting our firm is here to help - it is what we do and our clients are the reason we do it. This is an incredibly difficult time. We are dedicated to honoring the memory of this young family and being a resource and support for the family left behind. The law offices of Steinger, Iscoe & Greene are representing the family of five whose lives were lost in the catastrophic automobile accident that shook the country in late June. 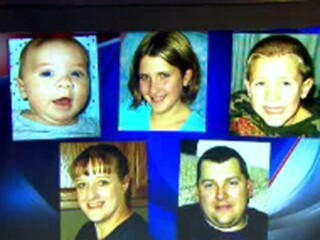 The parents and their three children were only minutes outside their hometown of Hobart, Indiana, en route to West Palm Beach, Florida to visit family for vacation when tragedy struck. The accident occurred on Southbound I-65, at US 231 in Crown Point, Indiana. According to court records, the driver of a double box semitrailer crested a hill to find traffic slowed for a vehicle being towed off the highway. Sadly, the driver was unable to slow in time to stop before his weight bearing semi struck the family's pickup truck from behind, thrusting the vehicle straight into the flatbed semitrailer truck in front of them. The ensuing collision caused the family's pickup truck to burst into flames upon impact. The family inside never had a chance. The catastrophic automobile accident received local and national media coverage. Mourning the loss of her son, daughter-in-law and three grandchildren, the client called Steinger, Iscoe & Greene to legally represent and protect the rights of her family whom she lost so suddenly. The client came to Steinger, Iscoe & Greene for help after the case had been filed in the Lake Circuit Superior Court, Crown Point, Indiana Case No. 45C010907 ES-00096. Co-founding partner of Steinger, Iscoe & Greene, Gary T. Iscoe commented "When people are hurting our firm is here to help - it is what we do and our clients are the reason we do it. This is an incredibly difficult time. We are dedicated to honoring the memory of this young family and being a resource and support for the family left behind." Steinger, Iscoe & Greene partners and entire legal team are channeling their expertise toward a speedy resolution, thus offering both counsel and closure to those left behind. Founded in 1997, Steinger, Iscoe & Greene is one of the leading plaintiffs' litigation law firms in North America. A law firm of more than 20 attorneys and 100 legal staff, Steinger, Iscoe & Greene has represented more than 15,000 injury victims to date, with offices in Miami, Fort Lauderdale, West Palm Beach and Port St Lucie. The Firm provides legal representation to Florida accident and injury victims specializing in auto, motorcycle, and truck accidents, defective products, premises liability, workers' compensation, wrongful death and catastrophic injuries. 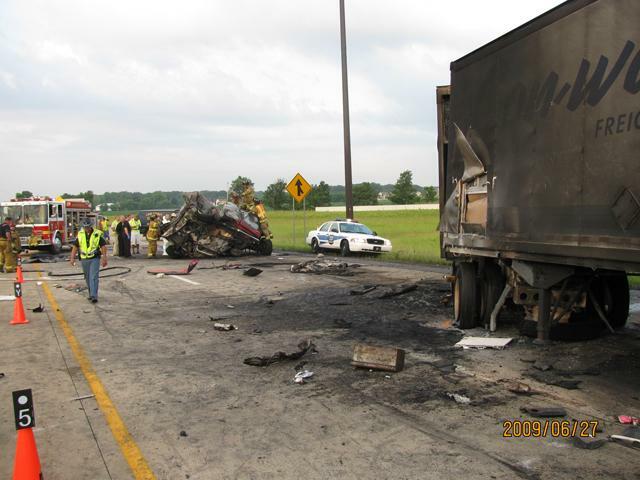 Remains of Family VehicleA family of five was killed in this fiery crash involving a pickup truck and two semi-trailer trucks in Northwest Indiana in late June. Parents and 3 Children Lost in CollisionSteinger, Iscoe & Greene is honored to represent this family and to be there for those family members still here today. Remains of Family VehicleUnable to stop, the semitrailer collided with the family's pickup truck from behind. The pickup was crushed and caught fire; the blaze spread to the semi behind.